Let’s face it: your entire working life isn’t going to be a breeze, and there will be days that you’ll simply want to pull your own hair out. But whatever the problem – whether it’s a jammed printer, a nagging coworker or a horrible boss that keeps pushing you closer to the edge – it’s important to keep your cool and avoid telling everyone where they can go. So, how you deal with these workplace irritations? How do you stay calm and collected when the temperature starts to rise in the office? We’ve got you covered! 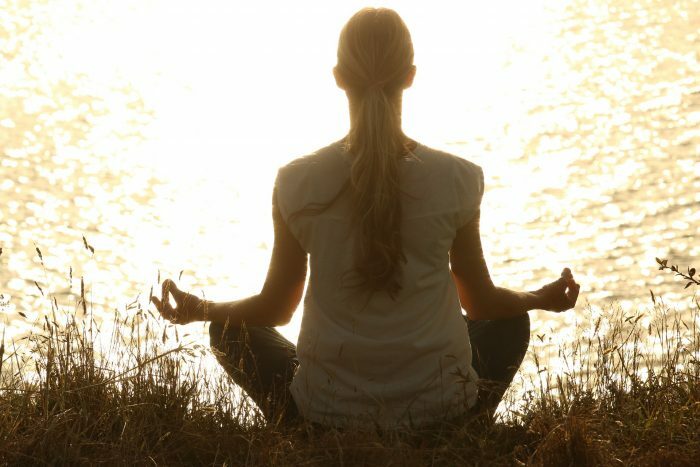 Just read this collection of 20 tips and you’ll be fast on your way to discovering inner peace at work! Are you guilty of rolling your eyes and smirking at your boss when you disagree with them? Sure, it can be tough trying to keep your thoughts to yourself, without (unintentionally) advertising them across your face, but it’s important that you’re mindful of your facial expressions at all times – and how they can be portrayed by others. On the same note, be careful of your actions, too. No matter how under pressure you are, there’s no excuse throwing piles of paper in the air, crossing your arms and stomping your feet like a spoiled child! You don’t want to be known as a ticking timebomb, ready to go off without a second’s notice. People shouldn’t have to walk on eggshells around you. So, try to do a better job at controlling your temper. Remember: you’ll never be able to control what other people say or do – no matter how much it bugs the crap out of you. What you can control, though, is how you react to these workplace irritations. Whether we like it or not, moods can be highly contagious, and if you’re surrounded by the most depressive person on the planet, day in and day out, it’s only inevitable that it will rub off on you. You can try to uplift your colleague’s spirits and help them break the cycle, but if that fails, perhaps it’s best to avoid them – like the plague. By no means am I advising you to laugh in someone’s face after they’ve p*ssed you off – rather, what I am suggesting is that you try to find the funny side of things and perhaps even to use a joke to diffuse a particularly tense situation. As long as you’re not being sarcastic or ridiculing someone, you can make light of a bad situation. If you have to follow up afterwards with ‘Just joking!’, it probably won’t go down well. If you can offer a solution before a problem occurs, you’ll be better equipped with dealing with it and you’ll be better able at remaining composed. However, when you’re faced with a challenge without any answers, you’ll most likely crumble under pressure, and this won’t do anything to help you with tackling the problem head-on. Yes, someone has bothered you, and you’ve lost your sh*t again, which is why you’re reading this article – but did you stop for a minute and place yourself in the other person’s shoes? Remember that you’re not the only person having a bad day and you really don’t know what they’re dealing with outside of work, so be a little more respectful next time you come head to head with that difficult coworker of yours. When we’re anxious, our heartrate tends to rise and our blood circulation decrease; meaning, less oxygen is being pumped to our brains. Ultimately, this interferes with our ability to make sound judgements. So, to make sure you’re thinking clearly and calmly, take a deep breath through your nose for five seconds and then breathe out through your mouth for another five. Keep doing this until you feel calmer. When you feel like you’re being bombarded with deadlines, requests and interruptions, step away from the situation and count to 10. This will help you put things into perspective, and you’ll be able to think of the issue with a clear head. It will also avoid any potential conflicts if your first reaction is as defensive one. If you’re under a lot of stress at work, you’ll end up focusing on what you didn’t achieve rather than on the positive. However, if you take a few minutes at the end of the day to focus on the positive, you’ll instantly feel at peace and you’ll also have a better attitude to tackle your day with a fresh pair of eyes the following morning. As the age-old saying goes: patience is a virtue. Having the ability to remain calm and not get frustrated is a skill that many people lack in the workplace. If you give your colleagues the time of day and give them space to gather their thoughts, you will have a much more productive office. If the watercooler gossip and loud noises are starting to grate on your very last nerve, it’s time to block out these distractions. You can walk away from your desk, take a toilet break, go and visit your pal in another department or simply stick your headphones in (if it’s not against office policy). When you’re feeling stressed and tired, you may turn to your good ol’ friend – coffee – to help you ease your nerves. But drinking too much coffee (and other caffeinated drinks) has the complete opposite effect, stimulating even further the areas of your brain that are causing you to feel overwhelmed. Have you realised that when you have a good night’s sleep everything is instantly better? In other words, don’t sacrifice your sleep. If you do, it will impair your ability to think clearly and it will generally make you more irritable. When you’re well-rested, on the other hand, you’ll see that the task you’ve been putting off all week really isn’t that hard you thought it was! If you spend most of your waking hours at work, it’s only logical that you’ll start to feel more irritable and you’ll end up losing your rag unnecessarily. This is why it’s important to maintain a good work-life balance. You can do this by setting yourself strict working hours and making sure you head out the door on time. It’s also a good idea to find activities that will help you relax after work, like Pilates or yoga. When you’re feeling down or stressed, a good support system can make a world of difference. This could be a group of trusted coworkers – after all, you spend over eight hours a day with these help, so who else will better understand your company’s culture? When you love what you do, you’ll be less likely to feel stressed and worked up at work. And you’ll naturally be more inclined to work late if needed and not get annoyed about it, either. Moral of the story? By finding a careerthat you’re passionate about, you’ll feel a lot calmer. You don’t always have to handle stressful situations on your own. If you’re worried about meeting a deadline, for example, speak to your manager and ask for an extension. Or call on your team and delegate parts of a particularly difficult task to them. You’re probably wondering what food has to do with being calm. Well, food is the fuel that maintains a healthy brain, and a logical brain is the key to staying calm when faced with challenges. In other words, you should always keep healthy snacks at your desk for when you’re feeling low on energy. Are you on the verge of sending out an angry reply to a sarcastic email? If so, press the ‘pause’ button and step away from the situation. When you’ve managed to calm down, read over your email and rewrite it to make sure it sounds professional. When all else fails, find a different outlet for your frustration. This could be exercising at your desk, stepping out of the office and going for a walk, talking to a friend or simply writing down your problems in a journal. Whatever it is, make sure that you stick to it. Amazing! pressure from work, especially with horrible bosses, can make someone go crazy. Thanks for the amazing tips you shared.